Personalized anniversary gifts are just that, personal! 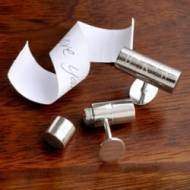 They are a great souvenir for couples to look back on and remember their anniversary celebrations. 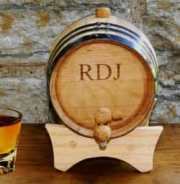 You can find all sorts of personalized gifts, if it can be engraved or printed on then your message can be added to it. There are lots of ways to personalize your Anniversary Gifts, ways that will make your partner cry tears of joy and love the gift even more. This is probably the most personal anniversary gift you can give, your very own love story. Your book is made up of all your favorite moments, how sweet is that? All of your moments are bound together in your own gorgeous book to keep and read for years to come. If you like having a bit of fun with your anniversary gifts you could create your own personalized love coupons. 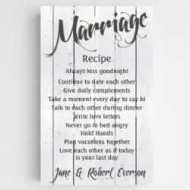 These you can personalize with characters just like you and fill your book with coupons for date nights, crazy nights and intimate nights in, or whatever you fancy. 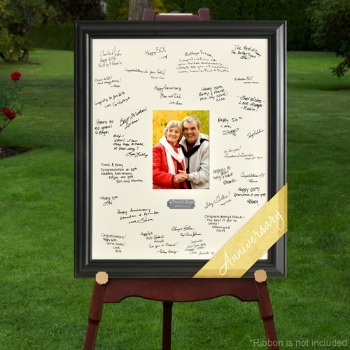 This is the most personalized anniversary frame ever. 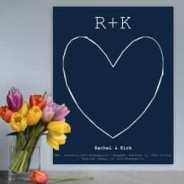 If you are planning on holding an anniversary party then this would make a great guest book too. Choose your favorite photo and add your own personal message. Available to buy in our own Anniversary Store. This is one of the oldest romantic gifts you could possibly give. 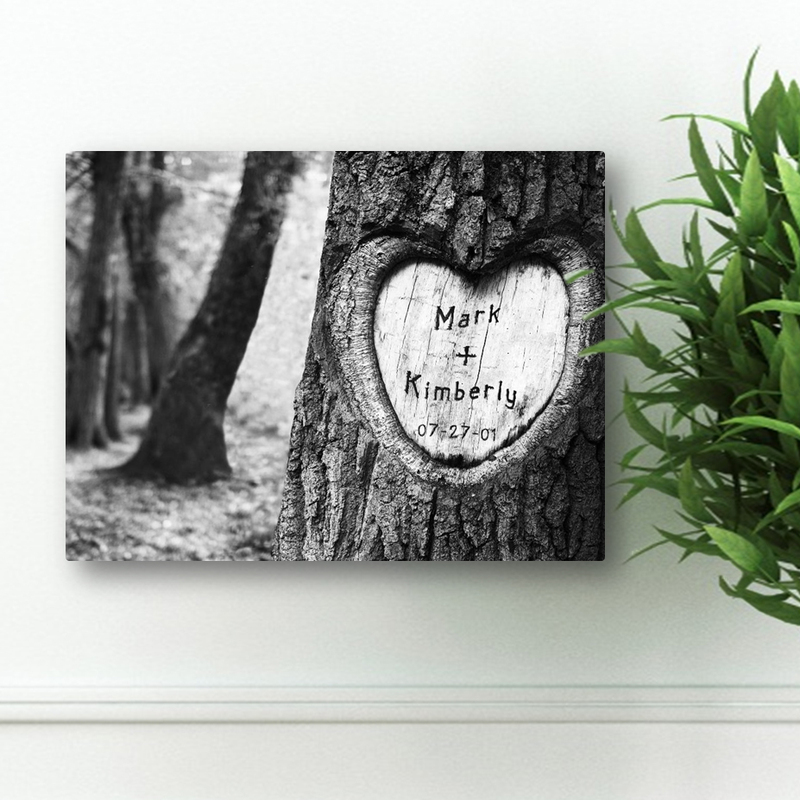 You may have even carved your initials in a tree many years ago in your favorite place. This gift lets you see your romantic side every day and you get to personalized your tree with your anniversary, the dates and your names. Perfect for any and every anniversary! Every year, when you celebrate your anniversary we are sure you love to raise a glass and give a toast to each other about how fabulous you have both been this past year. Just think how special each year's anniversary toast will be if you have a set of your very own personalized glasses to use for this important time. 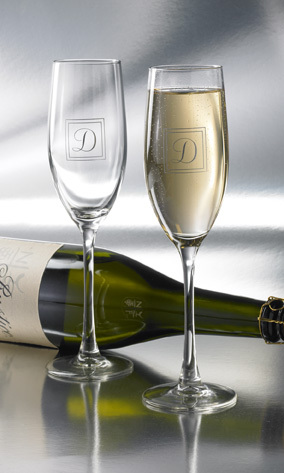 Personalize them with your initials and open the fizz, it is time to celebrate! These are available from our own Anniversary Gifts Store. If they love to travel then this is the perfect Anniversary gift. This is a personalized map where you can show where you have travelled, your favorite places and even where you plan to go to next. 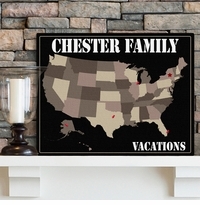 Personalize the map with two lines of up to 25 characters, plus your home State. It also comes with map pins so you can mark on there exactly where you are planning to go next. We have lots of beautiful and romantic Anniversary Art available to buy in our Anniversary Gifts Store. 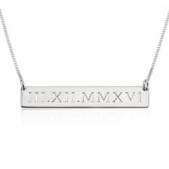 This is one of our favorites as you can personalize with the dates of your own Love Story; the date when you met, when you were engaged and your wedding. Choice of colors too, find out more here. This is the kind of gift that is perfect for a couple or your other half that likes to enjoy a glass of wine! 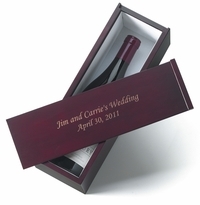 You can add your personal message to the box and then pop in their favorite wine. For our 10th anniversary a friend gifted us just this and then had everyone sign the wine bottle with a silver pen. 5 years later we still haven't drunk the wine as it looks too good! 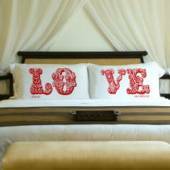 There are lots of options for personalized pillows, we love this Love collection as there are lots of different colors to choose from. 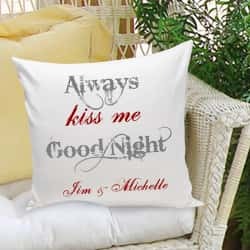 It would be a cute idea to put theses pillows on your bed for when you go to bed, maybe even the night before and that way you will wake up knowing it is your anniversary. 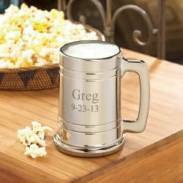 Personalized with your names and some you are able to add a date to too. We have lots of gorgeous Personalized Anniversary Gifts available to buy in our store today. 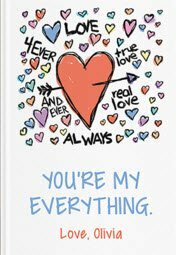 You can add a personal message, a love note, your initials, the date of your marriage, the date of your anniversary, the anniversary that you are celebrating, and even sweet nicknames that you have for each other, there is no limit to a personalized gift! 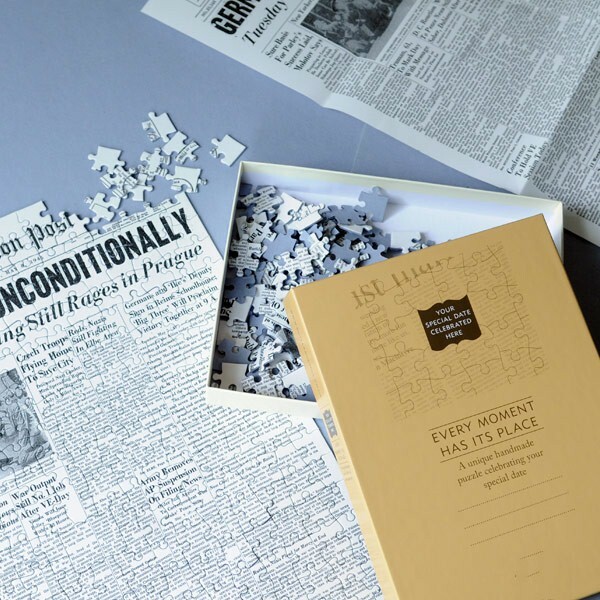 You can even make your own personal anniversary gifts that match with the anniversary meanings. Your 1st is traditionally celebrated with paper and you could make an origami flower. Maybe even one made from the newspaper of the day you were married. 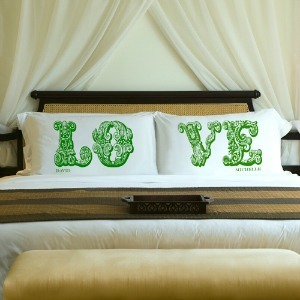 Your 2nd gift is traditionally with cotton and you could embroider or paint a message on a large cotton sheet or t-shirt. Or have one printed for you! Your 3rd gifts are made from leather, which is a bit trickier to make something yourself but if you can find some very soft leather you could sew a simple purse. Or make a leather journal very personal by filling it with all the reasons why you love them. Your 4th is silk and you can get some lovely silk painting kits to make scarves and ties. With your 5th you have wood and that could mean engraving a heart and initials in a tree trunk at your favorite place. Or plant a tree. Your 10th is tin and you can make pretty tealight holders with old tin cans. Every anniversary can lend itself to personalized gifts and if you incorporate the symbol for the anniversary it makes it even more special. Some of the symbols as you go up in years will be harder but you may have to stretch the meaning a bit more. Your 25th is silver so you could make a great gift basket that you have filled with gifts wrapped in silver, and the same goes for gold. 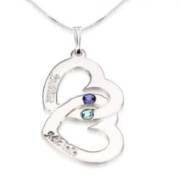 Diamond, ruby, emerald and sapphire anniversaries will have to have homemade gifts of that color! Unless you have a mine in your backyard! More wedding anniversary gifts here!